The Dirty Jobs Classic Water Bottle is on sale for $2.97 at DiscoveryStore.com right now. That's 85% off the list price of $19.95! 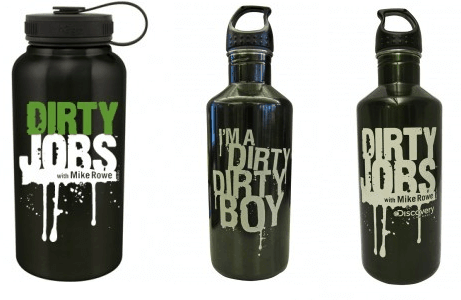 Also on sale is the Dirty Jobs Dirty Boy Water Bottle for the same deal! Checkout the Discovery Channel Store sale section for great deals on marked down learning toys, clothing, books, DVDs, Blu-ray discs, and more.